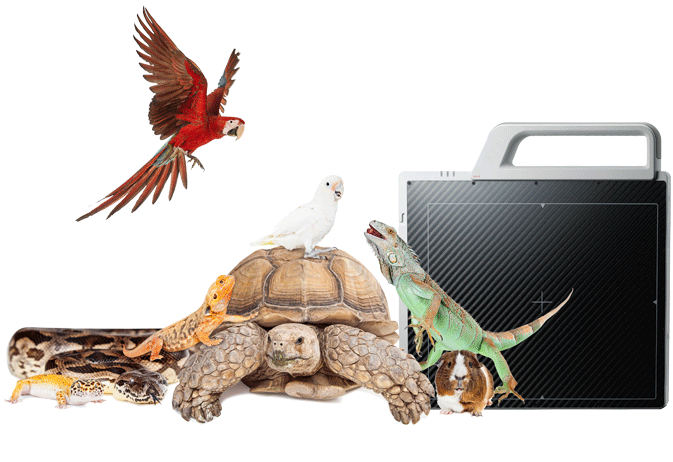 The MyVet wireless detector offers wide range of flexibilty and it is ideal for exotic and avian specific practices. 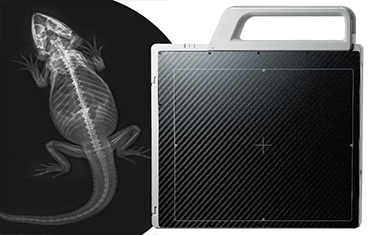 It's ergonomically designed detachable handle delivers more portability in your veterinary work environment. The wireless detector has a built-in Access Point (AP) which enables images to be sent to directly to a workstation and delivers immediate diagnoses throughout the network. 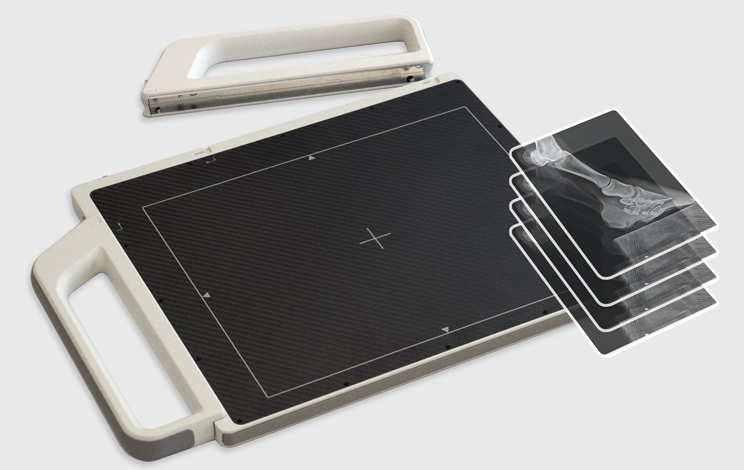 Rayence manufactures TFT-based digital x-ray detectors for veterinary imaging applications, providing high resolution and high grey scale images. 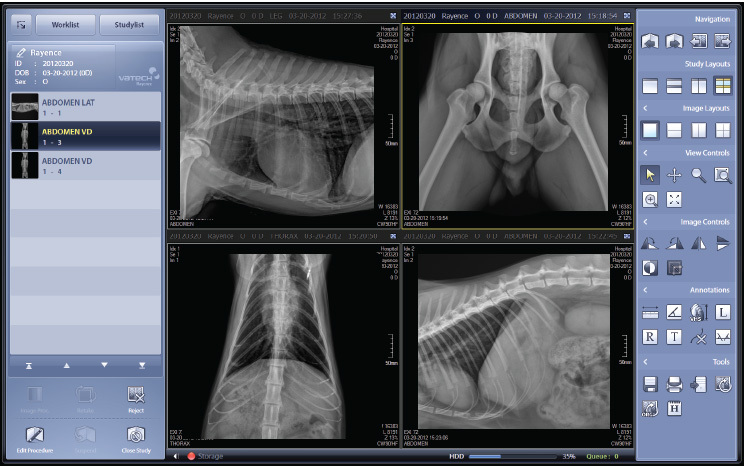 A complete x-ray image management software featuring easy data searching, fast image acquisition and user friendly functions including image viewing, reprocessing, optimizing and archiving.